Build SEA leadership and management capacity to advance state agency visions for early childhood education. Partner with state leaders and organizations to build a more unified, equitable, and efficient state birth through third grade early childhood system. The yearlong CEELO Leadership Academy includes four in-person sessions, interim online learning opportunities, and intensive coaching for each fellow. 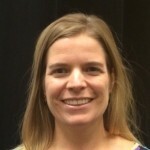 Erin Kissling joined the Indiana Department of Education’s Office of Early Learning and Intervention in January 2015. She earned a master’s degree from Ball State University in Elementary Education with a specialization in Early Childhood Education and a certificate in Early Childhood Leadership and Program Administration. Erin’s primary focus at the Department of Education is building sustainable, quality early childhood systems for Indiana. Before joining the Indiana Department of Education, Erin taught in an early childhood classroom and was the director of a birth to third grade program for seven years. Job Embedded Project Summary – Principals are the instructional leaders of their building, but without training in early childhood education, they are often unable to recognize and cultivate high quality early learning environments within their buildings. Over the 2017-2018 school year, I will foster a community of practice for elementary school principals with early learning programs. The community of practice will involve a series of supports including in-person and virtual meetings, and program tools that will assist principals leading quality early education programs in Indiana. The cohort will focus on accessing the early childhood system in Indiana and the ability of leaders to develop the capacity of their early childhood teachers through our teacher evaluation system of continuous feedback and support. Leaders will be able to monitor developmentally appropriate practices in early childhood classrooms. Final presentation on the job embedded project. 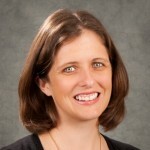 Jenny Metcalf works as an Early Childhood Consultant at the Illinois State Board of Education. Her responsibilities include working with the state Preschool for All program and serving as the lead agency contact for the Preschool Development Grant and the state QRIS system. Prior to joining the Illinois State Board of Education, Jenny served as a director of a child care center serving children 6 weeks to 12 years old. 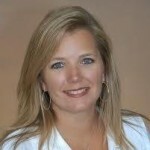 In addition, Jenny has experience working in higher education in the area of student affairs. Job Embedded Project Summary – My job embedded project is working on the next competitive grant process for our state preschool program, Preschool for All (PFA), that will awards grants for the 2017-2018 academic year. I will lead the development of a competitive application that is open to organizations serving preschool children statewide. The development of the application will address recommendations from state wide committees that are centered around five policy priorities for the grant – prioritizing high need communities, serving more children from priority populations, increasing number of slots that meet the Preschool Expansion model, encouraging/supporting community collaborations and building birth to 3rd grade continuum of high quality services. The process will also include development of a scoring rubric, an informational webinar and the collection and review of community data. I will also coordinate the process for which the applications are reviewed, scored and awarded. Kim H. Guieb works as a P-3 project manager for Hawai’i P-20 Partnerships for Education. Her responsibilities includes strategic planning and coordination of statewide P-3 initiatives and policies that support young children’s development and learning through cross-sector collaboration. Specifically, her current projects include convening Early Childhood Data Collaborative of public and private partners and providing training and technical assistance in the use of formative assessment in the early learning programs. Her past positions consisted of P-3 Project Coordinator with a P-3 demonstration project, and Assistant Director and Program Manager of a Head Start program in Hawaii. Job Embedded Project Summary – Similar to most states, Hawai’i does not have a centralized coordinating structure that guides data sharing and analysis in the early childhood sector, which would involve multiple State agencies that oversee State and federal programs, along with many private childcare and PreK providers of varying sizes. A comprehensive early childhood data-sharing system will require significant coordination among and commitment from a large and diverse group of organizations. By leveraging the internal resources of Hawai’i P-20 and seeking the knowledge and expertise of a data governance consultant, key committed members will meeting regularly, finalize charter documents to solidify their commitment and begin to deliver at least one or two integrated early childhood reports, to better understand the effects of preschool participation, specifically in the State funded PreK and Head Start programs, have on school readiness, as measured by third grade reading and math proficiency assessments. Kristine Luebbe is currently an Education Specialist in the Early Childhood Office at the Nebraska Department of Education, where she has worked since 2012. In that role she serves as grants manager for the early childhood team, provides technical assistance to school districts and their pre-kindergarten programs, and serves on statewide PK-12 standards revision and alignment teams. Kristine worked in various early childhood settings prior to working at the Nebraska Department of Education including toddler care in private child care, and preschool and first grade teaching within the public school system. Kristine is also serving as an adjunct lecturer for the University of Nebraska-Kearney, teaching a course in early childhood literacy methods. Job Embedded Project Summary – While Nebraska school districts continue to operate more preschool programs, many of the benchmarks of a quality program, specifically in regards to program evaluation measured by CLASS and ERS are not met. Over the past few years, more classrooms have been observed using one of these tools across the state; however, the infrastructure has not allowed for more in-depth analysis and improvement upon these scores from year to year. The Nebraska Department of Education, Office of Early Childhood currently provides grants to school districts to provide new or expanded early childhood programs for 3-5-year-olds; however, creating and improving quality in classrooms has not been a requirement of these grants. The proposed system would include requirements for grant-funded classrooms in regards to improvement plans, multiple observations over time to increase program quality, as well as professional development for teachers and administrators to understand and promote quality practices and data use. Laura Reid is a Professional Learning Community Specialist with the Georgia Department of Early Care and Learning (DECAL). 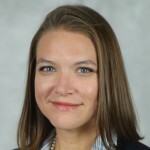 She manages professional learning initiatives for the state of Georgia, with a specific focus on relationship-based professional learning projects including coaching and professional learning communities which are part of Georgia’s Race to the Top: Early Learning Challenge grant. Prior to joining DECAL, Laura worked for Quality Assist, Inc. for more than 15 years and managed a number of training and technical assistance initiatives. Her experiences in those roles include developing and facilitating face-to-face professional learning events, managing staff and training classroom data collectors, as well as developing online courses. Job Embedded Project Summary – Traditional approaches to professional development (i.e., “sit and get” trainings) do not result in sustained, meaningful changes in providers’ daily practice. Relationship-based approaches, such as coaching and professional learning communities, offer a promising alternative. Our goal is that every birth-five teacher in Georgia has access to a skilled early learning coach. In order to do that, we must increase our state’s capacity to provide high quality coaching. The creation of a coach designation system is an initial step toward accomplishing that goal. A set of coach competencies will form the core of the designation system. Other elements will include a career pathway for coaches and ongoing professional learning opportunities to support individuals just starting out as coaches as well as those who are more experienced. Sandra Little is an Assessment Manager and Professional Development Lead in the Alabama Department of Early Childhood Education. Prior to this current role she has been a teaching coach in both elementary schools and a coach for Region 4 of the in the Alabama Department of Children’s Affairs, along with being a higher education instructer. 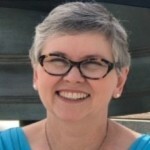 She began her career in elementary schooling as a second grade and Kindergarten teacher in multiple elementary schools. She also has early childhood teaching experience in Montessori School teacher. Job Embedded Project Summary – The Early Learning Academy will provide sustained, on-going professional development opportunities in child development and early childhood education best practices for principals serving young children. The Academy will develop leaders’ knowledge of whole child development, education and assessment. The academy will engage participants with leaders in the field of early childhood education, brain research, dual language education and exceptional learners. The academy will engage participants through collaborative learning experiences including interactive mini projects, individual reflection. Knowledge will be demonstrated through job embedded projects to be presented at the Alabama Department of Education’s MEGA conference; further building capacity for leaders with sound understanding of early childhood education. 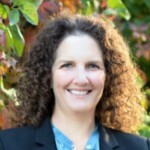 Sondra Ranum is the Co-Director of the Early Childhood Professional Development System within the Office of Early Learning and School Readiness at the Colorado Department of Education. For the last 3 years, the Early Childhood Professional Development team has focused on implementing the Workforce area of Colorado’s Race to the Top-Early Learning Challenge Fund. Sondra leads projects focused on Colorado’s credentialing systems, a statewide Coaching Network, Trainer Approval and other aspects of a coordinated professional development system. Sondra was previously the Assistant Program Director for the Expanding Quality in Infant Toddler Care Initiative at the Colorado Department of Education and a Professional Development Coach with Clayton Early Learning. Additionally, Sondra has served as Adjunct Faculty for the Colorado Community College System and the University of Colorado. Job Embedded Project Summary – The competencies early childhood teachers utilize with young children are critical to improving outcomes for at-risk and vulnerable children. Unfortunately, current approaches to develop and recognize these professionals’ competencies are often ineffective. In 2014, Colorado revised the Early Childhood Professional Credential to align with the Colorado Early Childhood Competencies for Educators and Administrators and current research on effective strategies to develop skills. Since the launch of the revised credential, over 8,000 professionals have been recognized in this system. However, is the credential a valid measure of their skills? This question will be explored through a preliminary validation study of Colorado’s Early Childhood Professional Credential 2.0. Results of the study will determine next steps to continue to validate and strengthen the credentialing system.